Comments Off on Spring Sidewalk Sales! Enjoy the warm weather and do some shopping outdoors during our spring Sidewalk Sales weekend! Where: Flatbush Ave. from Parkside Ave. to Cortelyou Rd. and Church Ave. from Coney Island Ave. to Flatbush Ave. Businesses up and down Flatbush Ave. and Church Ave. will be displaying goods on the sidewalk and offering discounts on overstock merchandise. Once you’re done walking around, be sure to grab a bite to eat at one of our great local restaurants. Sidewalk Sales are a joint program of the Flatbush Ave. BID and the Church Ave. BID. Download the Permit to display in your shop window Here! Business improvement districts (BIDs) do more than improve the bottom line for storeowners, according to the New York City Department of Small Business Services (SBS), which has issued an eye-opening report detailing the ways in which BIDs invest in their communities to make the neighborhoods better for residents and shopkeepers alike. The city’s BIDs invested a total of $134.7 million in their communities during Fiscal Year 2016, SBS officials said. 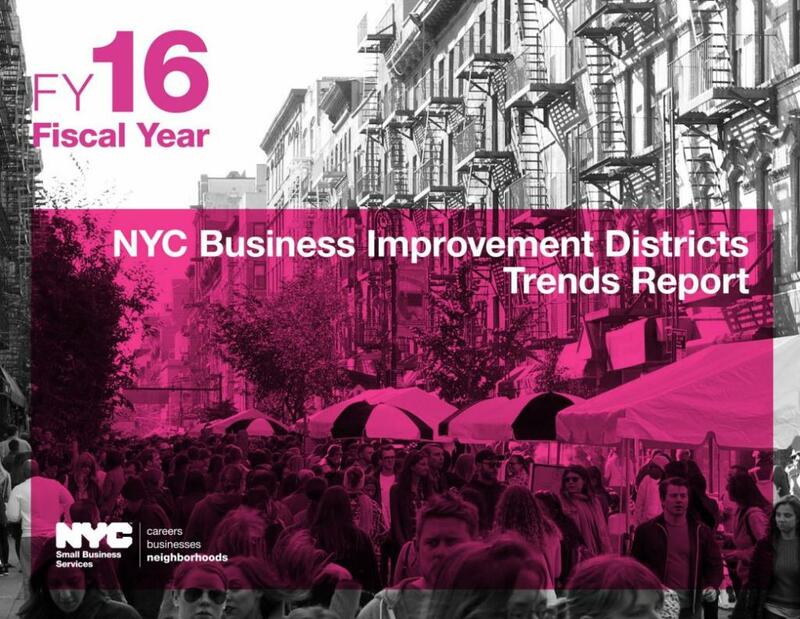 The information is contained in a report called the SBS FY16 Business Improvement Districts Trends. Renee Giordano, executive director of the Sunset Park BID, said she wasn’t surprised by the findings in the report. *Snow and ice must be removed within four hours after snow has stopped falling or by 11 a.m. if the snow has not stopped falling after 9 p.m. the previous evening. *Snow should not be thrown into the street. *If snow or ice becomes frozen so hard that it cannot be removed, sidewalk can be strewn with ashes, sand, sawdust, or similar suitable material within the same time limits. *All ground level commercial/business owners should clear snow/ice from their awnings as soon as the weather permits to prevent structural collapse. If you have a retractable awning or shade, please close these devices. *One-story commercial property owners/lessees should clear snow/ice from their rooftops as soon as the weather permits to prevent possible collapse (a professional should perform this task).